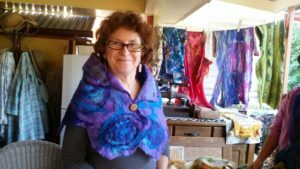 The 33 works in my exhibition Deeply Felt, at Eumundi’s Wand’in’in gallery during winter 2018 feature wearable creations in textiles, especially wool felt. The opening will take place on Friday evening June 29th at 6pm. There will be finger food, a cash bar and a wearable art fashion parade featuring felt garments. Other artworks such as wall hangings show my innovations in reconciling two apparently disparate media which I love to use: wool felt and cast paper. The rich colours and textures of wool and silk contrast with the earthy feel of hand-made botanical papers, reconciled largely through the intermediary of delicate embroidery with cotton thread. 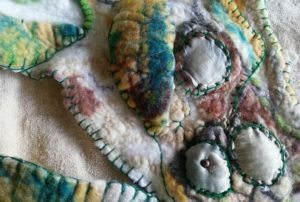 This exhibition traces the development of my relationship with wool felt from my first encounter at a Steiner Education Conference, The Vital Years, almost 15 years ago. The show includes early experiments, such as Water Stories, and extends to recent complex wearable garments with environmental themes including Defender’s Vest and Rainbow Warrior. 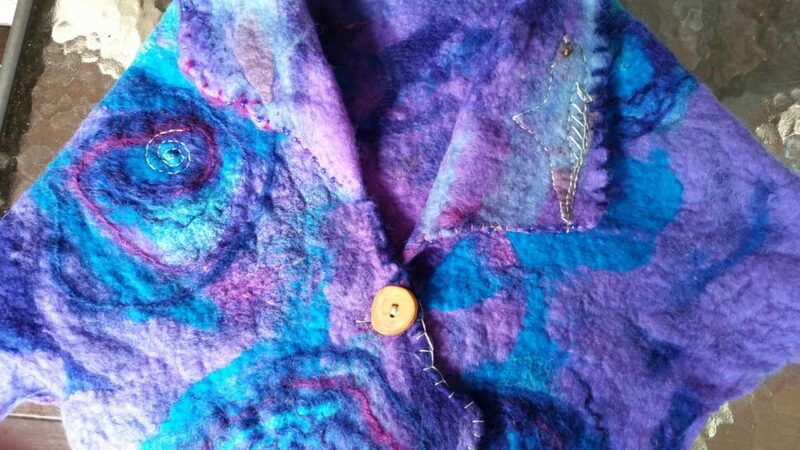 The journey with handmade botanical papers occurred concurrently over the last 15 years with my exploration of felting. After being introduced to making paper from cooked and beaten plant fibres, I discovered that I could use skills with clay from my previous work as a studio potter to make clay masters of low-relief sculptures, then cast the reverse image in plaster. When the newly-formed paper sheet is pressed into such a plaster mould, the paper takes the forms of the mould in a very permanent manner, and with surprising strength. In works such as Song of the Seasons, you can see multiple iterations of the same mould, individualised by the use of different plant fibres and decorative treatments combined by the woollen felted background of rich greens. 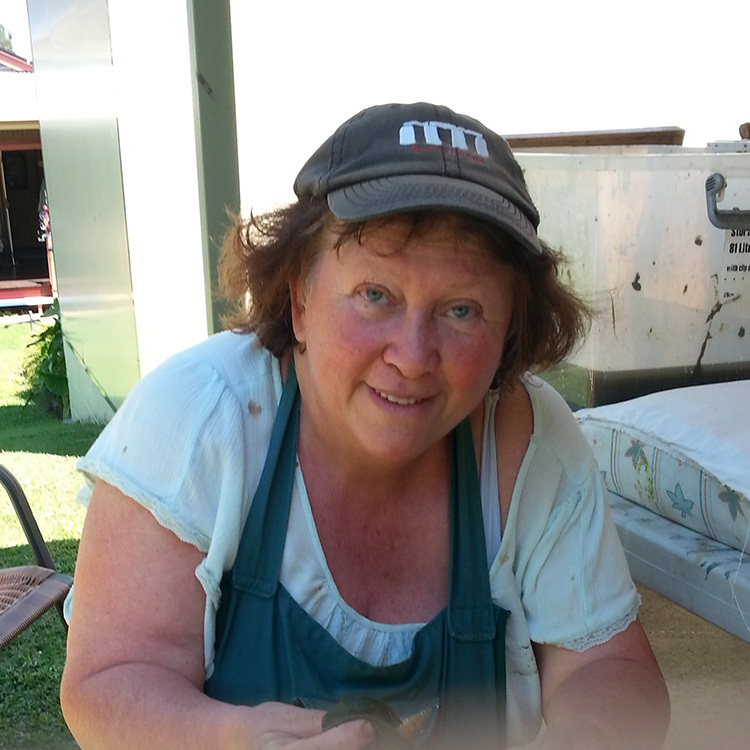 I am offering a half day workshop at Wand’in’in on Thursday July 5 from 10.30am until 2 pm. Bring your own lunch. Participants will be introduced to some of the techniques used in Deeply Felt. It runs from 10.30am until 2pm and costs $3o plus a materials levy of $10. 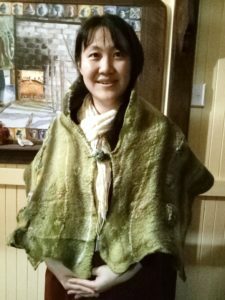 There will be an opportunity to complete two felt items using wet and dry felting techniques.